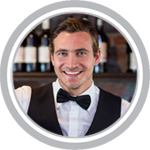 Hawaii alcohol seller-server safety training ensures that sellers and servers of alcohol understand state and local liquor laws and serve alcoholic beverages responsibly. An alcohol seller-server training program can also significantly reduce the risk and liability associated with alcohol service. In Hawaii, all Managers, Assistant Managers and Bartenders of liquor establishments (restaurants, bars, clubs, hotels, vessels, etc. ), and all Managers and Assistant Managers of retail stores - must have alcohol server training. The Department of Liquor Control – County of Hawaii is responsible for the enforcement of alcoholic beverages, which applies to all retailers, suppliers, and wholesalers who are licensed to manufacture, sell, serve, transport, or store liquor in the State of Hawaii. Hawaii has various laws regulating the legal age an individual needs to be to consume, sell, or serve alcoholic beverages and other regulations regarding the sale and service of alcoholic beverages. Within Hawaii, the legal age to consume alcoholic beverages is 21. There are also rules and regulations regarding what is required to become a bartender in Hawaii. Hawaii Liquor Control - Server Training Videos - These videos were produced in partnership with the: State of Hawai‘i, County of Hawai‘i, City & County of Honolulu, and County of Maui. 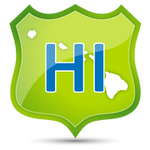 We offer online Alcohol Safety Training in Hawaii for: Honolulu, East Honolulu, Pearl City, Hilo, Waipahu, Kailua, Honolulu County, Kaneohe, Mililani Town, Kahului, Ewa Gentry, Kihei, Mililani Mauka, Makakilo, Schofield Barracks, Wahiawa, Kapolei, Molokai, and many more!